Keep pushing! Although it is a bit hazy, I can just make out the finish line. Some of my peers are finishing a lot stronger than me while others are lagging hard behind. My cross-country running coach used to always say, “J-Roc”, when you see that finish line, it’s time to turn up and push yourself!”. That is exactly what I have been doing, going out of this semester panting and heaving. Over the course of this semester, times have been bleak but I’ve made it. Although I wanted to do better, my confidence in writing has improved drastically. We were given numerous writing assignments this semester. I paced away with valuable information from each one steadily becoming a stronger writer. At first, I read assigned readings and completed nuggets, writing prominent ideals that stood out in passage and summarized what it meant to the writer and me. My girlfriend was really helpful this semester, I didn’t look forward to getting my rough drafts reviewed by her. She would mark and slash my paper with a red pen, I now call her “The Butcher”. A part of me feels like she enjoyed it, I know she was only trying help but it made me feel like my writing was lousy. Most things she pointed out would be the same things that the instructor gave me feedback on, Justin would agree that women do stick together. The biggest challenge for me was the Final Inquiry project. I used journal articles most often to gather a framework for my final IP assignment. I would jot down notes and free write about different topics that I could focus my papers around. This was the start of my IP writing process. I started off very strong in my introduction, grabbing the reader’s attention, by the end my topic had waivered and my conclusion wasn’t the strongest. I might may have left the reader feeling confused and unsatisfied. Constructing the paper helped me a lot with the research process, citation, and including strong supportive material. A devoted dad, full time employee, boyfriend, and student all at the same time is the greatest but most difficult sprint in my life so far. A lot of people have told me that it’s impossible for me to reach the finish line because of my conflicting roles. At times like these, I remember my coach taught me and dig deep to prove them wrong. Here’s for the first step over the finish line, cheers! This entry was posted in #thoughtvector, #thoughtvector metaphor on December 7, 2015 by ajerrit. This entry was posted in #thoughtvector, thoughtvectors and tagged #think on December 5, 2015 by ajerrit. Antibiotics used in cattle for commercial consumption products like meat and dairy. Antibiotics employed by food industries is another contributor to substandard food quality which has a negative health affects on the consumer. In the most recent CDC study “Antibiotic Resistance Threats in the United States”, stated that FDA observed “emergence of multidrug-resistant pathogens” due to food industries overuse of antimicrobial drugs on animals. Food industries use antibiotics on animals to boost health and increase growth rate. Reduction in animal loss due to illness and faster product output cut cost, this is profitable for the company. Animals are exposed to bacteria and virus like any organism, in the commercial setting because of living conditions exposure to pathogens is higher. Instead of letting the animal use its natural immune system defenses to fight and deter pathogens, companies find it more effective to use antibiotics. The solution is a double edge sword, yes the drug kills the majority of germs but their is a few that survive. The few that survive are resistance most likely because of species genetic variability, they prosper and reproduce. Survivor’s offspring become the drug resistant pathogens that are more persistent and violent towards host treatment. 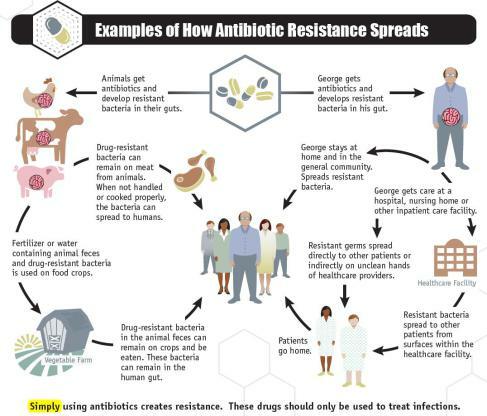 The CDC illustrates using a pictorial flow chart to show route of exposure and antibiotics adversely effect humans. Animals get antibiotics and develop resistant bacteria in their guts. Fertilizer or water containing animal feces and drug-resistant bacteria is used on food crops. Drug-resistant bacteria in the animal feces can remain on crops and be eaten. Drug-resistant bacteria can remain on meat from animals. When not handled or cooked properly, the bacteria can spread to humans. These bacteria can remain in the human gut. George gets antibiotics and develops resistant bacteria in his gut. Healthcare Facility Resistant bacteria spread to other patients from surfaces within the healthcare facility. Resistant germs spread directly to other patients or indirectly on unclean hands of healthcare providers. George stays at home and in the general community. Spreads resistant bacteria. George gets care at a hospital, nursing home or other inpatient care facility. This entry was posted in Uncategorized on November 26, 2015 by ajerrit. “In Western Europe, most countries have decided that organic agriculture needs special support to bring production [and consumption] up to a significantly higher level,” Dobbs notes. In countries including Denmark, Sweden, Germany, Austria, and Switzerland, and also at the European Union level, governments contribute to organic markets. 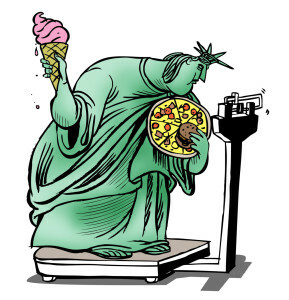 The United states of America is a world power but we still appear obese and selfish. A government is nothing without its people, so why not implement contingencies to keep our country healthy. This entry was posted in #thoughtvector and tagged #think on November 17, 2015 by ajerrit. I chose rampages for my territory to set up shop. I’ve been experimenting with this site for a few months now to complete academic assignments. I enjoy the website usability that easily allow blog beginners to express individual creativity. Why replace a system that isn’t broken? Easy, you don’t. This entry was posted in #thoughtvector and tagged #think on November 14, 2015 by ajerrit. Two weeks ago a Kroger open 5 miles away from my residence, up till now the only grocery stores available in my area were Walmart and Food Lion. The new Kroger appeared to be a dream come true, the grand opening was immaculate. This wasn’t your average Kroger grocery store, the franchise decided to create a new concept for the now 130 year old chain. During the grand opening I observe all kinds of wonders, this store defined “class”. A wine and beer café was quaintly constructed on the furthest most end of the store. The wine and beer café granted aged glasses of wine and bold pints of beer. Kroger’s deli is unrivaled in comparison to Walmart and Food Lion, the included cheese counter was a personal first. Firm fruit and vegetables look as if they were pulled immediately from the ground, rinsed and slightly chilled for sale. 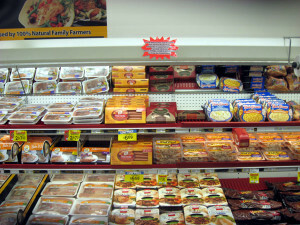 Organic labels frequently speckled the store while Grade A beef laid heavily on refrigerated shelves. The dream mutated into a freakish nightmare, Kroger noticeably put a grotesque strain on my food budget. 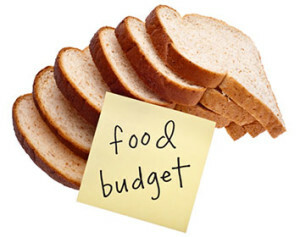 My $250 budget permitted a months’ worth of food from Walmart or Food Lion, at Kroger it allowed two weeks the most. I live 2 minutes from a quality food oasis but because of income I cannot afford to eat or enjoy the same services of those financially inclined. I must revert back to consuming limp and unappealing food because less quality food is better than no food. This research will strengthen my stand on food inequality in America. The study provides supportive evidence and testimonials that Americans eating healthier foods spend more at stores and how location effect consumer choice. This entry was posted in thoughtvectors and tagged #think on November 11, 2015 by ajerrit. Decades ago pesticide-free vegetables/fruits, farm raised meats and wild caught fish was not out of the ordinary it was something in grain as usual and unconsciously taken for granted. Commercially produced blueberry pie, lemon cakes and sugary foods were mainly consumed by the upper class, while middle and lower class made due with natural and homemade treats like an orange or homemade apple pie. Times have changed inversely, the upper class easily obtains organic vegetables/fruits, farmed raised antibiotic-steroid free poultry/pork/beef and wild caught fish. 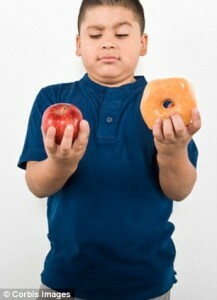 The middle and lower class is left with GMO(see link) altered and pesticide exposed vegetables, grains and fruits. “A whopping 90% of Americans” state they can freely choose what they want to eat, income constrains people by what and how often food is consumed. I would eat lobster everyday of the week if I could afford it but I and most Americans cannot. On social media I see people boast about the food their eating, steak, ribs, fish and shrimp. These popular dishes represents a lavish lifestyle in our culture but underneath lies deceit. Cattle are now efficiently mass produced, the bulk are fed GMO corn for their diet because its cheap and inexpensive which lowers company cost. Cattle are meant to roam ranges but scores are inadequately housed with grazing in nonexistent. Increasing product capacity with little regard for cattle individual space. Steroids are utilize to increase growth rate. Antibiotics increase illness survival rate, all increase productivity and lower company cost. I was in Walmart a few days ago and I picked up a packet of tiliapia. I was astounded by the “fish” advertisement. The background portrayed a fishermen pulling a fish out of a shimmering blue lake, with the sun sitting upon the horizon. Green Italic letters strategically written under the portrait “Fresh Caught Fish”. Deceit, a great number of food companies falsely deliver this visual cue, that this natural fish was reeled in from one of American’s great lakes. For the most part the average Americans can’t see beyond the illusion. Flip the packet over and scan the small print and you’ll find the veil “farm raised fish” , even this is a clever ploy. 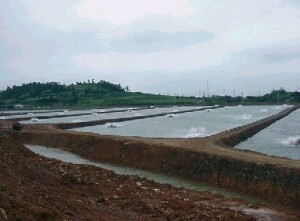 Most “farm raised fish”, are overpopulated in a restricted container and fed cheap feed. Multiple companies use a GMO corn diet that isn’t beneficial as naturally acquired nutrients. The great American lake is brown not blue. Yum, sounds delicious right? Hmmm, have you ever wonder why theirs now a surprisingly amount of buffets and restaurants offering…”All You can eat Shrimp, right now for $8.99!”. Supermarkets offer frozen and steamed packaged quantities of shrimp, flip the packet over “Farm raised”. 20 fillets of Alaskan salmon and catfish, what a deal? Potentially, farm raised. These products are all subjected to contained tight quarters, steroids/antibiotics and poor diet. That portrayed blue lake or crystal ocean is not looking so homely now, its a well disguised truth. 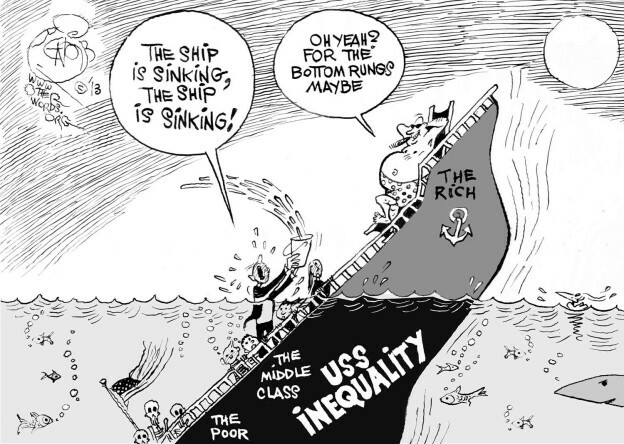 A truth that many less educated and lower income Americans consume everyday. Income inequality is everywhere, flip food packages over when visiting Martin’s or Save Alot (lower income grocery store). Witness distinctive food quality differences from whats being offered to customers. This entry was posted in thoughtvectors and tagged #think on November 10, 2015 by ajerrit. This entry was posted in Uncategorized and tagged #think on November 4, 2015 by ajerrit. Ammons, S. (2013). Food Justice. Community-based Food Systems.Center for Environmental Farming Systems.NC State University.Retrieved November 1, 2015. The past month I’ve conducted a flood of IP research and for the most part verbiage/vocabulary is unattractively identical. 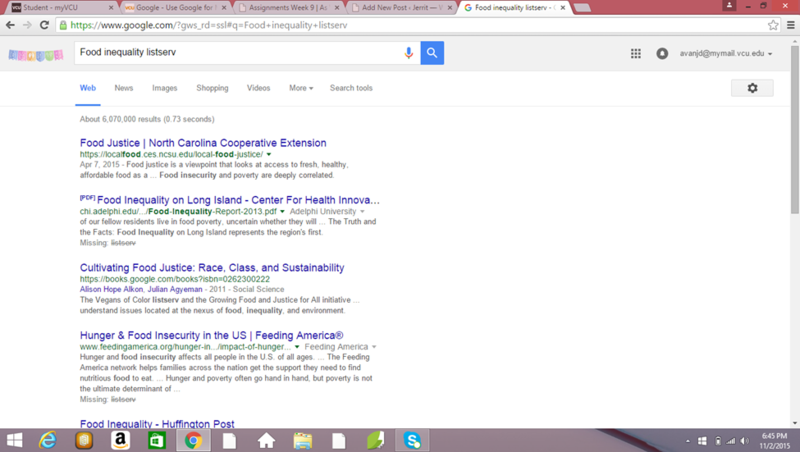 I choose this article for my research nugget because of the coined key term, “food justice”. Food justice is a unique perspective that analyzes ” fresh, healthy, affordable food as a human rights issue, similar to the right to availability of clean air and water as a part of their basic human needs.” The goal is to discourage food inequalities by assessing the system that causes the problem. Midway through the article, North Carolina activist stated they can combat inequalities by bringing in high paying jobs into the low income area. I don’t necessarily agree with these activist , first are the low income population qualified for these lucrative jobs. High paying jobs usually require higher education, which from prior IP research accomplished is not a correlating characteristic with low income Americans. Second, high paying jobs drive up an areas price of living which potentially leads to gentrification. Native low income residents are force to move out the area or need governmental assistance because they can’t afford to live in the area. North Carolina Activist are genuinely determine to create change but I think this idea will make conditions worse for the people their trying to help. I liked the terms and definitions included in the article it was very informative and will help strengthen my IP research. This entry was posted in Uncategorized and tagged #think on November 3, 2015 by ajerrit.